I'm a bit late in posting this, but I wanted to show you this new artwork of mine anyway... Since last Sunday, March 25th, was the day of the Annunciation, I am dedicating this special painting to Our Lady. 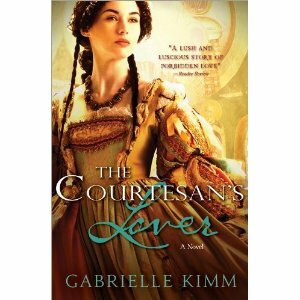 Galley GIVEAWAY of The Courtesan's Lover!! Sourcebooks is offering a copy Galley Giveaway to one of my Canadian or US followers!!! 2)For more chances: Post on Twitter, FB, or your blog (as often as you like!) and then come back to post each link, each time in my comments section. Winner announced this coming Saturday- Good Luck to all!!! 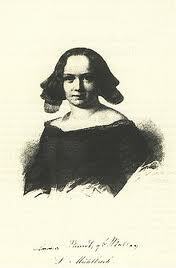 Author Louise (Luise) Muhlback (1814-1873) was an historical fiction writer born in Germany. She wrote several novels on monarchs, including one on Henry VIII. Reading up on her, I've gotten the feeling that she may have been the Jean Plaidy of the time...Anyone else have any information on this author? Please let me know! Bonaparte had scarcely deigned to glance at the French ambassadors and their ladies, who had received him at the foot of the staircase. All his thoughts centred in Josephine. And bowing slightly to the ladies and gentlemen, he had impetuously rushed upstairs and opened the door, satisfied that she would be there and receive him with open arms. When he did not see her, he passed on, pale, with a gloomy face, and resembling an angry lion. Thus he now rushed into the front room where he found Josephine. Without saluting her, and merely fixing his flashing eyes upon her, he asked in a subdued, angry voice: "Madame, you do not even deem it worth the trouble to salute me! You do not come to meet me!" 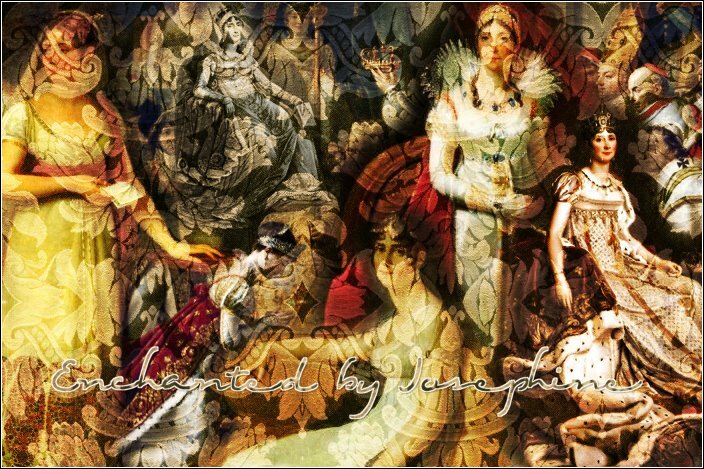 "But, Bonaparte, you have given me no time for it," said Josephine, with a charming smile. "While I thought you were just about to alight from your carriage, you burst already into this room like a thunder-bolt from heaven." "Oh, and that has dazzled your eyes so much that you are even unable to salute me?" he asked angrily. "And you, Bonaparte?" she asked, tenderly. "You do not open your arms to me! You do not welcome me! Instead of pressing me to your heart, you scold me! Oh, come, my friend, let us not pass this first hour in so unpleasant a manner! 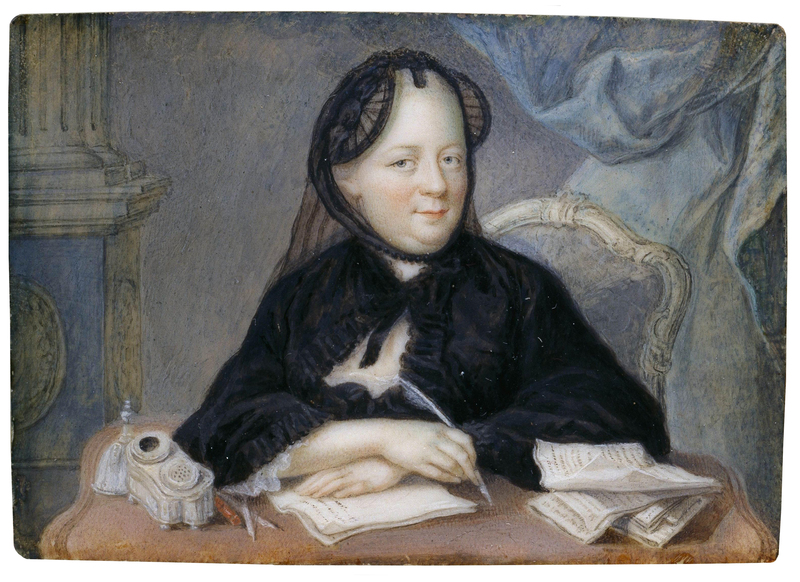 We have not seen each other for almost two months, and--"
"Ah, madame, then you know that at least," exclaimed Bonaparte; "then you have not entirely forgotten that you took leave of me two months ago, and that you swore to me at that time eternal love and fidelity, and promised most sacredly to write to me every day. You have not kept your oaths and pledges, madame!" "But, my friend, I have written to you whenever I was told that a courier would set out for your headquarters." "You ought to have sent every day a courier of your own for the purpose of transmitting your letters to me," exclaimed Bonaparte, wildly stamping his foot, so that the jars and vials on the table rattled violently, while Zephyr jumped down from his arm-chair and commenced snarling. Josephine looked anxiously at him and tried to calm him by her gestures. 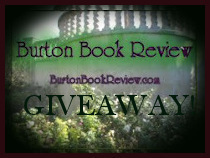 Good friend Marie Burton- from The Burton Book Review is having a fabulous Giveaway. So many books! And she wants us all to drop by and join in the fun- and spread the news:) Go on over there-fast! 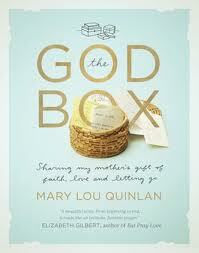 Here goes: The other day I downloaded The God Box: Sharing My Mother's Gift of Faith, Love and Letting Go, by Mary Lou Quinlan on my Kindle (if interested, see side note about Kindle, bottom of this post). What a beautiful story- and idea! Mary Lou Quinlan talks about how she discovered a bunch of little boxes that her mother stored away secretly throughout her lifetime. These contained years of accumulated bits of papers with prayers written on them. Her mom wrote prayers for everyone she knew; short- almost on-the-run little notes that she carefully folded into minute bitsies and put in these ‘God boxes’. The ‘letting go to God to take care of things’- experience in itself is what is also amazing about the whole process. Mary Lou learned about her mother’s strengths, care, love and ultimate faith through this legacy her mom left behind for her. Beautifully written, I loved reading this book. Inspiring and refreshing, this idea to leave it upto God by physically writing out prayers and releasing them into the God Box for Him to take care of sounds so... relieving. I really recommend you getting this book. You can go download the first chapter HERE. 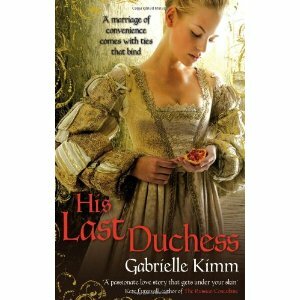 Get 'His Last Duchess, by Gabrielle Kimm'!